Family game night remains an important event in our house. The kids are getting older faster than I can comprehend, but this silly evening together is something that holds us together through even the most rotten of teenage stages. 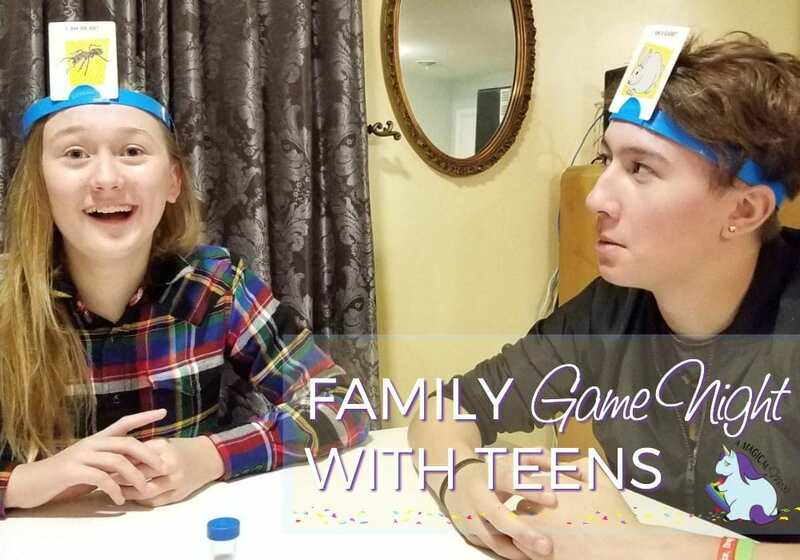 The Hedbanz game is suggested for younger kids–7 and up–but we had a ridiculously good time playing, and it’s a surprisingly great brain exercise. My son is sixteen, and my daughter will be thirteen in just a couple weeks. This is a game that can be played with any age group. We have my mom and her significant other coming over to play next time! At first glance, it looks like a game only younger kids might enjoy. This is a big part of why I love getting my older kids’ impressions on games like this. Most of the time we discover new ways to have legitimately wholesome fun. While playing the Hedbanz game, we discovered that my sixteen-year-old son is shamefully ignorant on all things regarding scientific classification. He didn’t know if a deer was a mammal or not. Putting my horror aside, this was quite hilarious. Let’s acknowledge that horror for a second. At sixteen, he’s never grown up in a world without Google. As useful as this resource is, it does enable a lazy-brain syndrome. I don’t want to sound like I’m picking on my son–I do plenty of that. 🙂 But, this is a serious issue. He’s emotionally intelligent beyond his years and has a plethora of natural talents that blow my mind. However, he lacks certain things that, to me, are just logical. But, if I isolate each topic, these things are only logical to me because they were pounded into my brain at a young age. Things like animal facts, geography, spelling… With digital maps, spell checkers, and minicomputers to consult within reach AT ALL TIMES, why bother committing such information to memory? My daughter is a total science geek, so it’s natural for her to remember things like where animals fit on a phylogeny. So, when faced with rather rudimentary challenges playing the Hedbanz game, my son and I realized just how dull our minds have become. The object is simple. Without looking, put a card in your headband and ask questions during your turn to figure out what’s on your card. I, too, found myself getting easily stuck on a certain thought path. I had a dolphin on my card, and when the answers to Do I have legs? Hands? were No. I couldn’t stop picturing an egg or a worm. It took actual mental work to shift my thinking to ask if this creature lived in the water, to then imagine, Oh, maybe it has fins. Ridiculous, right? But when you spend so much of your time stressed, or using your brain for similar complexities everyday, basic brain connections weaken. It’s the same concept behind why sitting down and coloring, or doing a puzzle can be so therapeutic. Your brain needs exercise just like a muscle. Use it or lose it. So, don’t knock the value of kids’ games! Grab everyone of all ages and laugh at the harebrained struggle. Are you smarter than a fifth grader? I certainly don’t think I could compete. The game comes with everything you need for non-stop fun Including Hedbanz rule sheet, 74 cards, 24 chips, 6 headbands, and sand-clock timer. It’s available everywhere board games are sold. 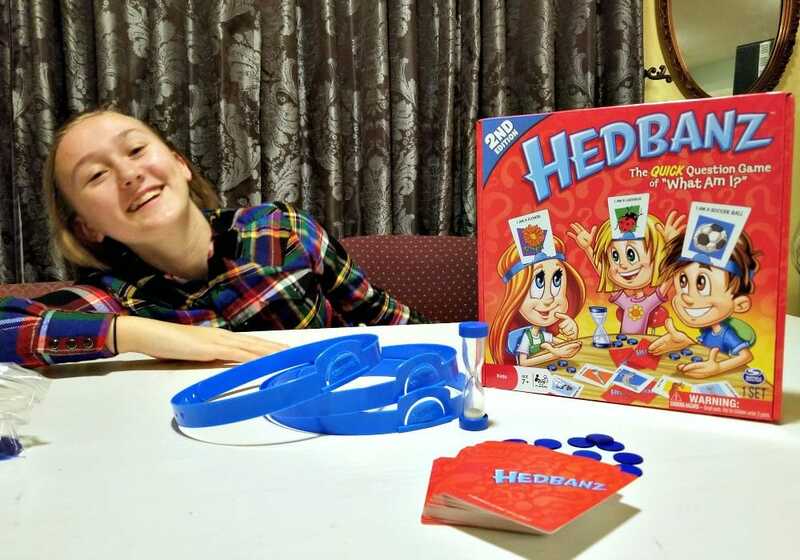 The Hedbanz game is a perfect gift for the holidays! Buy it here. Game night isnt just fun, it is a time for bonding. It gets you all of devices, it can be a great tradition. I am a big fan of game nights. 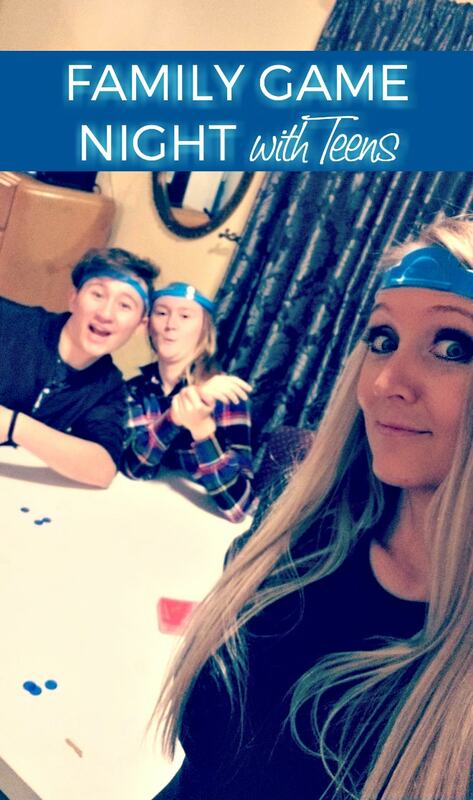 We adore Hedbanz! It’s so much fun to see the kids work so hard to get you to guess. Family game night is always such a blast. I was on the fence about this game, but you’ve just convinced me to pick it up for Christmas. I think my family would have a lot of fun with this game. My daughter just got home from a sleepover and raved about this game, your post just reminded me I need to purchase it. My teenager loves this game too. Unfortunatley my youngest likes to cheat by looking into the window at night to see his reflection!! My family loves family game night. It gets the kiddos off their electronics and their brain working. It is a great evening for some great fun. My oldest daughters are 6 and 4 and we LOVE this game! !